Ms. Anuj Malik an All India Rank- 16,UPSC 2016 & also the highest scorer in General Studies (GS), held an interactive session at Chanakya IAS Academy, Sector-8, Madhya Marg with the aspiring civil service candidates. It is noteworthy that in Civil Services Examination 2016, progress shown by the students of Chanakya IAS Academy was remarkable- 4 students came in top 10 and 39 students in top 100, out of a total selections of 434 students at all India level, 33 were from Punjab & Haryana. Delhi’s Ms.Anuj Malik scored 473 marks in GS which is the highest score in this segment of the Exam Pan India. Ms.Malik is an Electronics & Communications Engineer who tasted success in her very first attempt at the prestigious Civil Services Examination. Ms Malik gave important tips to students on how to write the MAINS, which is considered quite important in Civil Services Examination and discussed her journey which finally culminated in success at the UPSC Examination; she also highlighted the basic format of UPSC examination & strategies to succeed in the civil services. “We keep organising such interactive sessions with UPSC toppers from our Academy. This event was also part of this initiative. The idea is to enthuse aspiring civil services students of our centre by giving them an opportunity to listen to achievers who have already qualified in UPSC Examination.” Said Gurneet Kaur, Centre Head, Chanakya IAS Academy, Chandigarh. 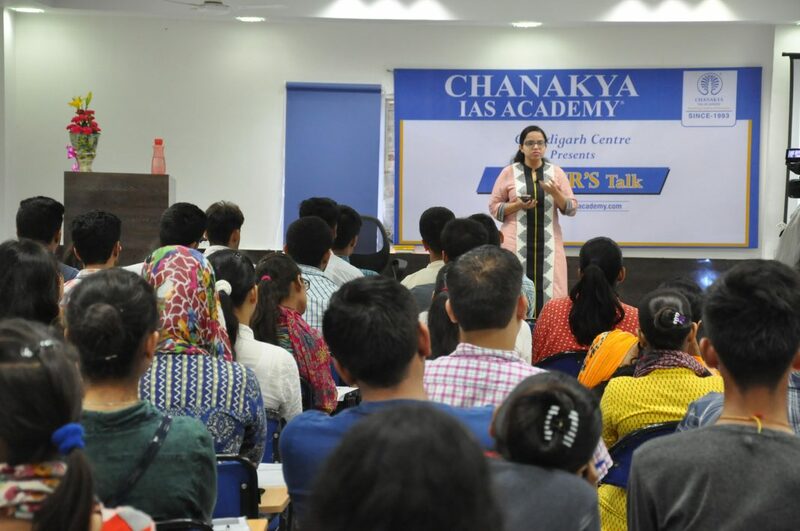 “The focus at Chanakya is to expose civil services aspirants to live discussions with serving senior IAS & IPS Officers as well as with those who have braved all odds to make the cut in the examination. This method helps students understand the Civil Services better & also in adopting practical techniques to crack the UPSC Examination.” Said Mr A K Mishra, Founder & MD, Chanakya IAS Academy, also fondly known as Success Guru.